Growth in tech and the communities of amazing people surrounding it both in Vancouver and across BC has been hard to ignore over the past few years — especially when you’re lucky enough to be playing in that sandbox every day. The Riipen team is honored to be recognized on this list again in 2018 for leading contributions in Information and Communications Technology (ICT), and to share its spotlight with friends and business colleagues who have been relentless in helping pave the way for BC and Canadian innovation. 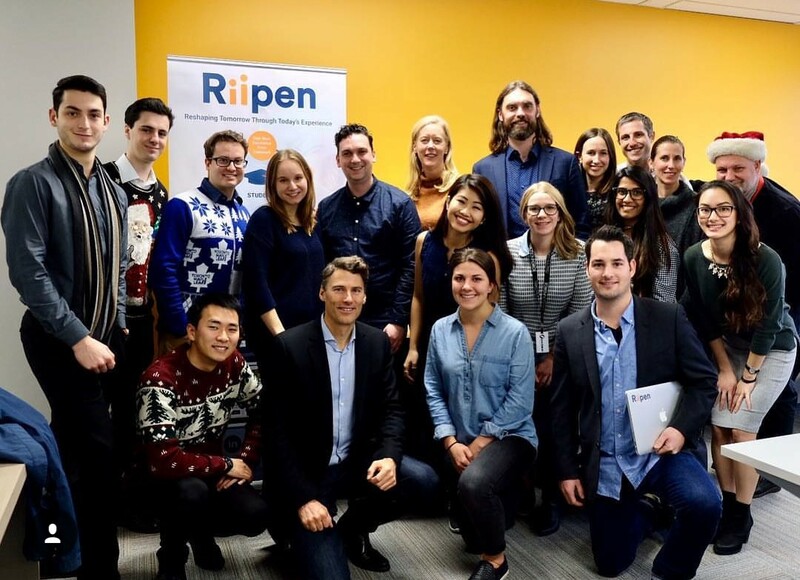 Riipen’s Vancouver Office Meet & Greet with Vancouver Mayor Gregor Robertson in December 2017. Rocket Builders today released its sixteenth (16th) annual “Ready to Rocket” lists. These lists profile British Columbia technology companies that are best positioned to capitalize on the technology sector trends that will lead them to faster growth than their peers. Rocket Builders also released results from its 2017 lists, with strong revenue growth across all sectors. As is typical with this list, companies profiled tend to attract investment, partnerships and even get acquired. This year, the notable acquisition was Buddybuild being acquired by Apple. The “Ready to Rocket” lists are the only predictive lists of its kind in North America, requiring many months of sector and company analysis. The 2018 Lists feature 76 “Ready to Rocket” technology growth companies and 104“Emerging Rocket” early stage startups. The 2017 Ready to Rocket list for Cleantech performed extremely well. The majority of companies on the list had in excess of 50% growth, and the lists together created over 250 jobs in 2017. The 2018 Ready to Rocket list for Cleantech features 19 companies, while the Emerging Rocket list features 21 companies. The 2017 Ready to Rocket list for Life Science featured many new investments (50% received new investment) and key milestones. There were 225 jobs created among companies on the list. The 2018 Ready to Rocket list for Life Science features 10 companies, and the Emerging Rocket list features 10 companies. 2017 was the inaugural year for the Digital Health sector list, and it did not disappoint. With over 100 jobs created and over 60% of them receiving new investment, it was a great year for a developing sector. In 2018, a total of 38 companies are showcased. The Rocket Recognition Program features two branded lists of companies. The “Ready to Rocket” list profiles information technology companies with the greatest potential for revenue growth in the coming year. The “Emerging Rockets” list profiles technology companies from multiple technology sectors with great potential for investment and market breakthroughs in the coming year. Both lists are predictive of future success making them unique in approach and unique in value for our business audience. “Ready to Rocket” and “Emerging Rockets: are trademarks of Rocket Builders, a respected management consulting firm servicing the technology industry. Rocket Builders is a management consulting firm providing sales and marketing services. With a focus on helping technology companies to grow and prosper, Rocket Builders has a proven track record of success with its clients. Since 2000, we have been engaged in market research, market planning, business development initiatives, strategic selling, and product launches for over 350 organizations.